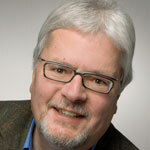 Michael Fromm, Wuppertal, Germany | The Secretan Center, Inc.
Michael Fromm has been a fulltime officer in a German union for 17 years; in 1996 he founded his company “Fromm & Fromm” together with his wife Barbara to work as a business-coach, Trainer and Consultant. Since this time he worked with leaders and managers in Germany—most in one-to-one-coaching—to develop their inner power and stability. In 2004 Michael and Barbara co-wrote their first book with the German title “Führen aus der Mitte”; it was published by J. Kamphausen. In 2013 he started a new coaching-project and is now working with employee representatives in German works councils and supervisory boards. Michael first met Lance in 1999 at Lake Simcoe, Ontario and they have been collaborating ever since to expand Higher Ground Leadership® in these countries – www.secretan.de.